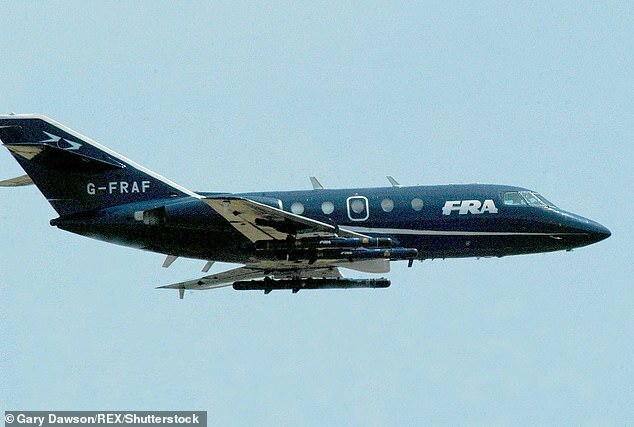 Theresa May left Britain ‘naked’ after scrapping aerial surveillance designed to stop migrants crossing the Channel, a former security minister has claimed. 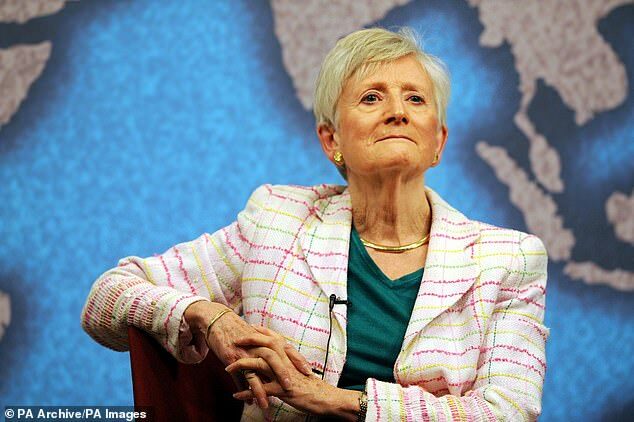 Baroness Neville-Jones yesterday shifted the blame for the migrant crisis on to the Prime Minister as two vessels ordered to patrol the British coastline still remained in the Mediterranean. She said she warned Mrs May in 2016, when she was home secretary, that cancelling a £4million surveillance contract with aviation services firm Cobham was a risk to border security. Her comments came amid a deepening row over the Channel migrant crisis, which has seen boatloads of asylum seekers try to make it to the UK from France. The row descended deeper into farce yesterday amid claims Home Secretary Sajid Javid and Defence Secretary Gavin Williamson are in disagreement over who should pay for Royal Navy patrols. Sajid Javid last night backed down and agreed that the Home Office would foot the £20,000-a-day bill for the Navy patrol ship HMS Mersey, which was sent from Portsmouth Harbour yesterday. The HMS Tyne, a second river-class Royal Navy patrol vessel, also left the harbour. In a U-turn on Wednesday, Mr Javid wrote to Mr Williamson to ask for aerial surveillance, a military patrol vessel and dozens of sailors. 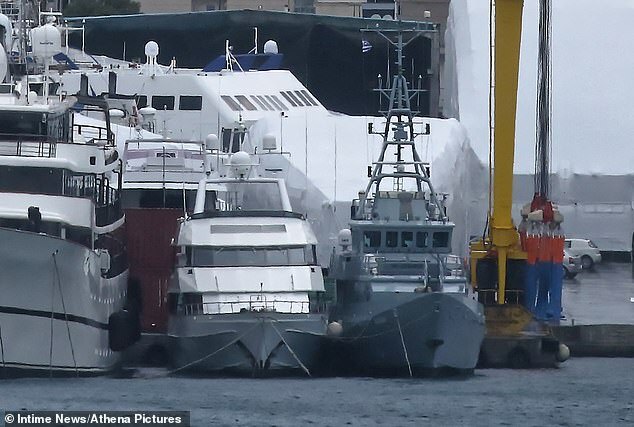 He had previously ignored offers of military help and announced two Border Force cutters, HMC Valiant and HMC Protector, would return from tasks in the Mediterranean. However, according to the Marine Traffic online tracker, both remained in ports in Greece yesterday. Only one of five Border Force cutters, the 138ft HMC Vigilant, has been working the Straits of Dover. An MoD spokesman said it was working with the Home Office to establish which requirements could be fulfilled by defence assets. Two men were last night being questioned by detectives over the surge in migrants trying to cross the Channel and enter Britain. The 33-year-old Iranian and 24-year-old Briton were held in Salford, Greater Manchester, on Wednesday evening on suspicion of arranging the illegal movement of migrants.